Another beautifully picturesque par 3. 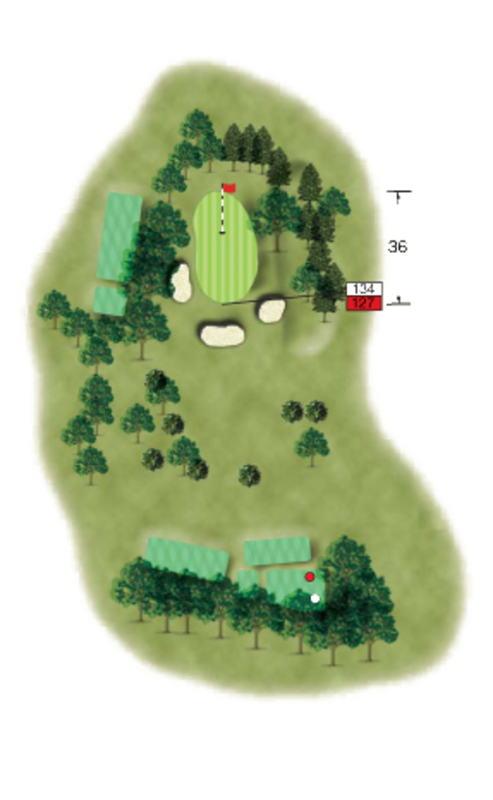 The green is surrounded by a combination of bunkers, mature trees and hollows making second shots very tricky. The green itself is the longest on the course measuring 36 yards. Pin position can have a great bearing on club selection. Putting is made difficult by subtle undulations running the length of the green. Uphill and well guarded in front so club up here. The green is long and undulating so the pin placement is important.